The whitetail shed report is a biweekly episode where we interview shed hunters from across the country. We will cover current shed drop, season trends, tips, and updates from every region. 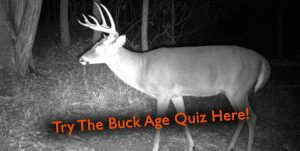 This week we are joined by Brody Vorderstrasse from Whitetail Instinct in Nebraska, Brad Bever from Whitetail in Iowa, David and Dean Giarrizzo from Tag ‘N Brag in Ohio, Chip Watkins from Monquin Creek Outfitters in Virginia, and Kyle Sutton from Georgia who all share recent info from the shed hunting woods! I have found just a tad over 200″ in sheds the past 3 trips here in West TN. However, 90% of the bucks are still holding both sides. Filmed a group of bucks sparring this afternoon. Glad you are already picking some up! Hopefully they start dropping soon. Shedding good here in Montana. Picked a 195 set up yesterday. Dang man! That’s awesome! Still a little slow here in Mississippi.